Needle mesotherapy involves local application of nutrients, to the dermis or into the subcutaneous layer, that are deeply moisturizing and regenerative. Mezotherapy is used in aesthetic medicine and dermatology for rejuvenation, skin regeneration, improves skin appearance and allows intense hydration. It is also used for the treatment of cellulite and stretch marks, as well as giving excellent results in the treatment of hair loss and the prevention of baldness. Improving the appearance and regeneration, rejuvenation of the skin. 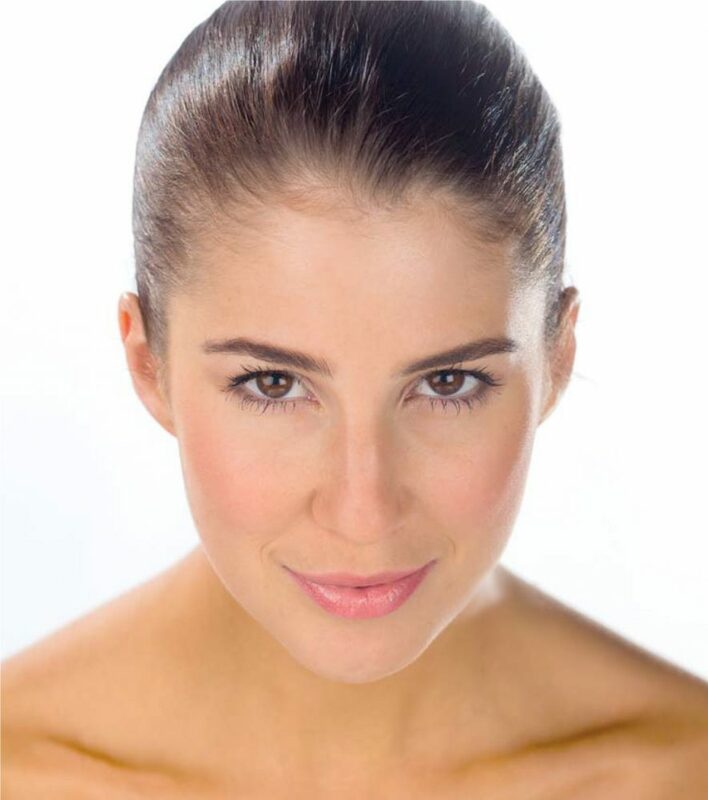 Mesotherapy gives you lifting and improvement of skin density, elasticity and tone. Small wrinkles are reduced and skin is smoothed, the neckline, decolletage and hands are appear younger. Mesotherapy in the treatment of baldness, hair loss (for women and men) gives an improvement in the quality of existing hair, their thickening. Needle mesotherapy allows strengthening of hair as well as the production of new hair follicles and hair regrowth. Visualization © Eskulap.co.uk 2018. By using the micro needling method, aesthetic practitioner introduces substances into the skin that act therapeutically in selected areas. Injections can be performed manually, using a thin needle and a syringe or automatically using a special mesotherapy gun. 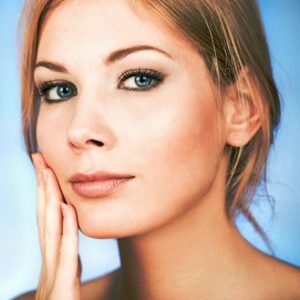 Mesotherapy is a technique that uses mechanical micro massage as a natural skin response to cell stimulation. Treatments performed manually by a doctor or aesthetic practitioner differ slightly from treatments using the Mesotherapy gun – the mesotherapy cocktail is usually more expensive and therefore more condensed, thicker, with a higher concentration of active substances than the one used for mesotherapy with the use of a gun. Nevertheless, both techniques are recognized by the aesthetic medicine physicians and have excellent effects on the skin. Improvement of skin firmness, tension, tightening, improving blood supply and microcirculation in the skin. Mesotherapy is successfully applied to treat the so-called tired eyes, dark circles and bags under the eyes. Dry, wrinkled skin is a big problem for many women and men. Needle mesotherapy can be used on the entire face, including the eye area where it gives the effect of lightening, reduction of dark circles and bags under the eyes. It is considered one of the most effective methods of skin revitalization, both on the face and neck, as well as the neckline, decolletage and the hands. Call today to book your consultation 07747474755. Needle Mesotherapy - How it Works? Needle Mesotherapy – How it Works? The best effect is visible after a series of 3-4 (or more) treatments performed at an interval of 2-4 weeks, followed by one treatment every few months. The most visible effects are obtained in people who perform treatments regularly in two series twice a year. 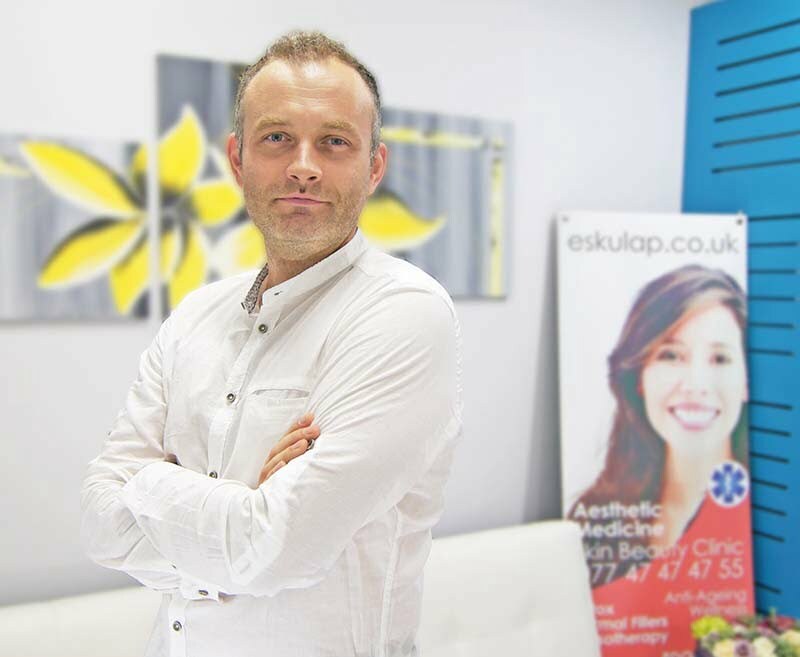 At the Aesthetic Medicine Skin Clinic Eskulap mmKisiel London, Birmingham and Słupsk, a mix of active substances is selected by a doctor or medical staff, resulting in the so-called Cocktails. Very good effects of skin revitalization are obtained by the use of mixed regenerative and moisturizing products, which in addition to hyaluronic acid are based on vitamins, amino acids and nucleic acids. In the case of mature, tired or very dry skin, best results of wrinkle reduction, skin smoothing and tightening are obtained with the combination of hyaluronic acid with glycerol and mannitol (Juvaderm Hydrate, Newest, Redensity). 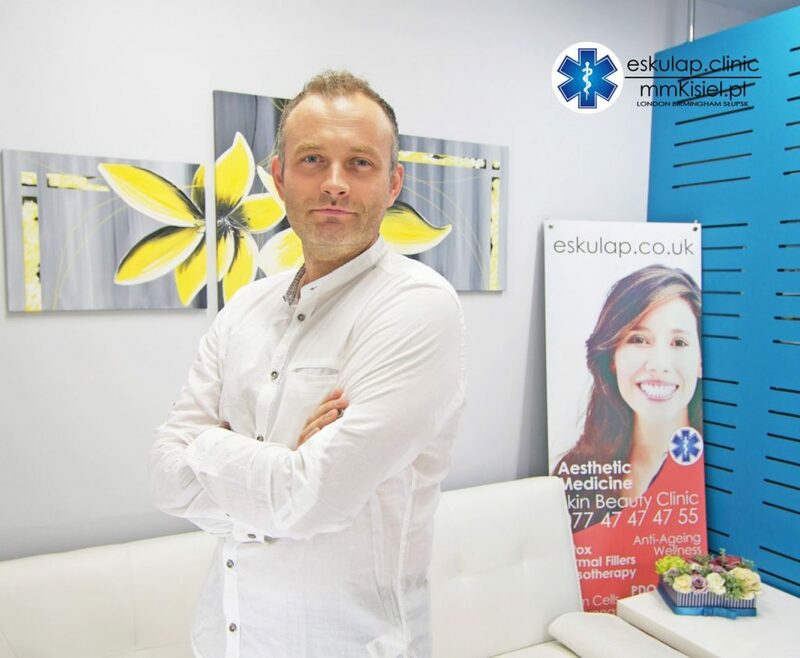 At the Aesthetic Medicine Skin Clinic Eskulap mmKisiel in London, Birmingham and Słupsk, the treatment is performed after applying a topical anesthetic. With the use of a very thin needle, intradermal punctures are made. A minor bruise may appear after the treatment. The duration of the procedure is about 30-40 minutes (including local anesthesia). How long does the effect after Needle Mesotherapy last? Depending on the condition of the skin and the characteristics of the individual patient, needle mesotherapy regenerates and stimulates the skin up to 60 days after the procedure. How often do you repeat Mesotherapy treatments? You should strive to improve the quality of your skin. One treatment will bring results but a series of treatments performed over a longer period of time is recommended. It is recommended to perform one treatment every 2-3 weeks to maintain good effects of the therapy.